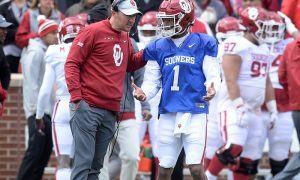 I don’t know if Kyler Murray knows if he knows what he is going to be doing in a few months. Yes, that’s a lot of “knows”. 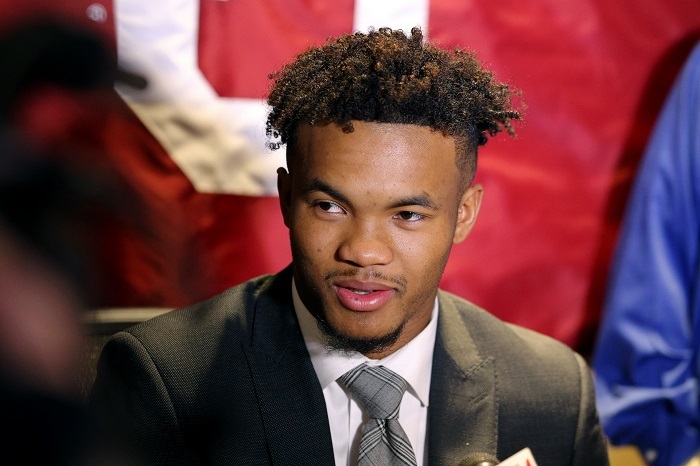 But the bizarre nature of that sentence is probably the best way to begin this weird encounter between Kyler Murray and TV/radio host Dan Patrick. Murray was doing what many athletes spend Super Bowl weeks doing: hawk and pitch some product as they make the rounds on radio row. It’s been a staple for years. It’s also why this is the worst week of sports talk radio every single year. These guys are talking about the same game for two weeks and then have forced interviews where players pitch garbage. I know, I used to work and host sports talk radio shows. I don’t want to make too big of a deal about this, but for a guy who is possibly going to be trying to convince NFL teams to spend millions of dollars on him as the next leader of their franchise, this would show up on my radar. Really? Kyler? You don’t know how to answer this question? You didn’t seem prepared to answer the question? You can watch the entire interview below and analyze it for yourself.